History of the 22 acre "Drapers" property in Rotherfield held by the Barber family for about 200 years from before 1597 to 1787. The 1597 survey map of the Manor of Rotherfield shows the property as owned by "Georg Barbar". This map, and a current Google map of the property, are included here. History of the "Bonnetts" property in Rotherfield now known as Town Hill House which was home to the Barber family while they lived in Rotherfield village in Sussex from 1530 to the mid-1600s. It was sold to family relative Edmund Latter in 1677 after the Barber family had moved to Hildenborough in Kent. History of Widow Barber's cottage in Hildenborough, now known as Woodside Cottage, which was purchased by Widow Barber in 1691 and eventually sold in 1801. The house is now a Grade II listed property. History of the Old House, Hildenborough (see Publications) - inherited by John Waite in 1726 from his mother's sister, Hannah Gilpin (nee Hunt). John's daughter Elizabeth Waite married Thomas Barber in 1749. John Nynne alias Barber is the earliest recorded Barber in our family tree. He is first documented in 1530 when a house and land are transferred to John and Joan Nynde (a variant of Nynne) in Rotherfield, Sussex. John became a churchwarden there in 1531 and it was noted on his burial in 1548 that he was the church's sextant. Thomas Barber of Tonbridge, Kent moved from Rotherfield, Sussex to Tonbridge around 1670 and the Barbers then lived there for the next 170 years. Thomas was the first to live in Tonbridge (nearby Hildenborough actually) and he died there in 1683 at the age of 43 years leaving a will which provided the link proving the Rotherfield connection, as it mentions the "Drapers" property. Herbert Wells Barber and James Wells Barber were brothers who started out as shipping clerks and emigrated to the USA to found the Barber Line, a very successful worldwide shipping business, become very wealthy in the process. This link takes you to their mother Mary Esther Barber and you can follow the story from there. William and Maria Marchant had a large family in Brighton, Sussex in the late 1800's. Many of their descendants are now researching their families and I have endeavoured to incorporate all the descendant information provided to me (except for living descendants) as a resource for all Marchant reseachers, so if you have anything to add, or find any errors, I would be pleased to hear from you. Descendants Chart for the Marchants of Brighton The Marchants go back to the early days of Brighton, before it became popular as a bathing resort for the middle and upper classes. There is even a connection to Martha Gunn, the most famous of Brighton's bathing women (also known as "dippers"), who was born in the seaside village of Brighthelmstone (Brighton) in 1726. Martha came from an old fishing family (like the Marchants), but when sea-bathing became popular in the 1740s, she found employment as a "dipper" on Brighton's seafront. "To Brighton came he, came George III's son, to be bathed in the sea, by famed Martha Gunn." (Old English rhyme) - see if you can find Martha (hint: check the GUNN family under the Charts menu, maiden name Killick) and see the Links page for more information on her. George Edward Meek wrote a book called "George Meek, Bath Chairman by Himself" for which the famous author H.G. Wells wrote the preface and generally mentored George, helping him to get it published in 1910. George is my 1st cousin 3 times removed, and his book contains wonderful descriptions of his early life with his grandparents (my 3rd x great grandparents). A rare find indeed! Find his grandfather, Benjamin Humphries, to read extracts from the book. Better still, go to Publications and download the booklet I wrote! John Thorpe of Hedgcourt in Surrey was an ironmaster who married the heiress Alice Bowett c1560. Her ancestry can be traced back to Richard, brother of Henry Bowett, Archbishop of York who died in 1423. This was a wealthy family and the wills left by John, and his children Thomas, Mercy and Giles make very interesting reading, with many bequests left to servants. Thomas Marchant of Hurstpierpoint wrote a diary between 1714-1728 which has been published as "A Fine Day in Hurstpierpoint" edited by Anthony Bower. 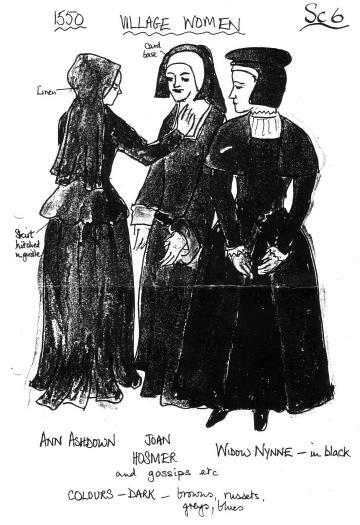 They were Quakers c1600-1750. While Thomas Marchant is not a distant relative of mine, his sister Ann Marchant married John Box, the son of my 7x great grandfather John Box and his wife Charity Norton, in 1716. The Box and Norton families are frequently mentioned in the diaries. Elizabeth Barber had an illegitimate child, Alfred, in 1850 while working as a servant for Saul and Sarah Yates. Their son Alfred Yates is the likely father but he died in 1851. Elizabeth emmigrated to New Zealand in 1857 with Saul and Sarah Yates, meeting her future husband on the ship. They married three days after arrival and had a family, but sadly the child Alfred was left behind in England to be raised by his Barber grandparents, never to see his mother again. Jane Barber died in 1848 at the age of 24 years but not before she had three children with her husband James Goldsmith. James remarried and emmigrated with his new wife Ann and the children to Victoria, Australia in 1853. They soon moved to the Ballarat goldfields where they became embroiled in the Eureka Rebellion on 3 December 1854. 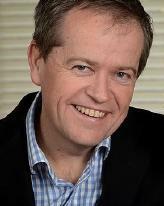 The children created a dynasty of Goldsmiths in Ballarat and many descendants survive today, one of whom is Bill Shorten, the current leader of the Australian Labour Party. Bill Shorten, Leader of the ALP is connected to the Barber alias Nynne line through Jane Barber (see above), daughter of Robert Barber and Jane Holden of Brighton, Sussex in England. Jane's three children emigrated to Ballarat in Australia in 1853. A pedigree chart showing the connection is given below. Benjamin Jeffery migrated to New Zealand in 1872 and wrote six letters which still survive, the first of which is written on a sailing ship off Beachy Head in the English Channel. Read about Ben's life in New Zealand and see the transcribed letters. Unfortunately he never married so there are no NZ descendants. Edward Wayte/Waite The Waite/Wayte families in the village of Leigh, Kent (near Tonbridge) are all related, and an Elizabeth Waite from Leigh married into the Barber family in 1749. In my research I have endeavoured to connect all the Waite's of Leigh, starting with Edward Wayte born c1615. Some interesting wills are included. I hope this will be a useful resource for other researchers. Nathaniel Gladman of Ringmer in East Sussex had many descendants which were researched by Rosemary Hales, Bert Parsons, and various other researchers (including myself) in the early 1990s. Rosemary and Bert published a family tree which brought together all the known descendants of Nathaniel Gladman, the earliest Gladman in these East Sussex families. Using their tree, I have attempted to verify and add to their research in order to make it available to others and preserve the large amount of work that was done. The descendants chart for Nathaniel Gladman is presented below, with acknowledgement to everyone who assisted with this work in the 1990s (all of whom were descendants of Nathaniel). William Morris and Eleanor Funnell married in 1846 and had thirteen children. Three of the daughters, Mary, Ruth and Fanny married three brothers Gilbert West, Henry Albert West and Trayton West - quite a rare event! Jane Burt emigrated to Brazil in 1850 departing Liverpool on the ship "Irene" and taking 58 days to get to Rio Grande do Sul on 4th February 1851. She was known as Eugenia there and married James Chaplin. She has many South American descendants who have been identified thanks to research efforts by her descendant Angelo Figurelli who lives in Brazil. Descendants Chart for the Ashdown family Related to the Burt family above (Isaac Burt married Alice Ashdown in 1815 at Hellingly). It is my hope that the Ashdown line will eventually go back to Rotherfield and show a (distant) connection to the Ashdowns there who stood firm in their beliefs and in 1557-58 were burnt at the stake for heresy. The Ashdowns appear to have a long history of religious non-conformity and a number of them converted to Mormonism in the 1850s and emigrated to the USA making the overland trip to Salt Lake City. There are many of their descendants in the USA today. Harriet Farrant embroidered a young child's bed cover between 1838 and 1842 which now hangs in The Priest House, West Hoathly. She married Gideon Gladman in 1839 and the embroidery tells the story of the birth and death of her first born, a daughter named Harriet Farrant Gladman, who lived only 9 weeks and 3 days. An article on Harriet Gladman's embroidery was published by the Sussex Archaeological Society in their magazine "Sussex Past & Present", December 2017 (issue no. 143). William Primmer provided details concerning activities at the `Popish School' at Twyford in 1743, including weapons said to be hidden there. This may have been connected to the Jacobite rebellion in England 1745 when Bonnie Prince Charlie tried to gain the throne. The transcript of William's information makes interesting reading and was reported to London at the time. The document survives as part of the papers of the Secretaries of State in London.